eBook by Betty Alexandra Toole, Ed.D. Ada Byron, Lady Lovelace, was one of the first to write programs for, and predict the impact of, Charles Babbage's Analytical Engine in 1843. Beautiful and charming, she was often characterized as "mad and bad" as was her illustrious father. This e-book edition, Ada, the Enchantress of Numbers: Poetical Science, emphasizes Ada's unique talent of integrating imagination, poetry and science. This edition includes all of Ada's fascinating letters to Charles Babbage, 55 pictures, and footnotes that encourages the reader to follow Ada's pathway to the 21st century. Dr. Betty Alexandra Toole received both her undergraduate and graduate degrees from the University of California at Berkeley. In addition to her two previous editions of Ada, the Enchantress of Numbers, she has written extensively about Ada for many publications: The Byron Journal, Scientific American, Annals of the History of Computing, Happy Mutant Handbook, as well as many Internet sites. She loves being with her family, playing scrabble, Greek dancing, collecting kaleidoscopes, and traveling. This You Tube video about Ada Lovelace is thoroughly enjoyable. It is a great explanation of Ada's unique critical thinking skills that we all need today. In 1987 I wrote my first article "Poetical Science" in the Byron Journal, which is the subtitle of this e-book edition of Ada, the Enchantress of Numbers. Viewing this You Tube presentation and reading the book will give you insight into Ada's skills which are appropriate for today's digital age. "Dr. Betty Toole has dedicated almost a lifetime of effort to elucidating the character and personality of Ada Lovelace, and has brought forth the real evidence, in Ada's own words, that tells us who Ada really was. Instead of an enigmatic caricature, we find a real person and a passionate thinker who was truly the visionary who foresaw what was to come, with ideas about future computers, even before the word was coined, that went far beyond the mere calculating machines of her day." 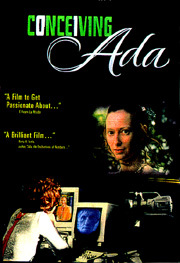 Toole lets Ada speak for herself through letters to colleagues, family and friends which bring Ada to life with an intimacy a biography never could. "Betty Toole's meticulous transcription, editing, and analysis of Ada Lovelace's writings open a window into one of the most stunningly original figures in the history of technology. Anyone who deals with the intersection of science, mathematics and creativity will find Toole's insightful handling of Lovelace's tragic life and brilliant writings to be priceless." Ada Lovelace: The World's First Hacker. . .
Toole did research for more than eight years, burying herself in British archives and libraries to narrate and edit this extraordinary collection of letters written by Ada Lovelace. 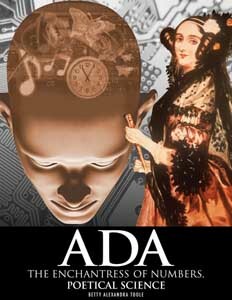 Not only do they outline Ada's ingenuity for the sciences, but they also enlighten us on all aspects of Lady Lovelace's multidimensional life: her passionate desire to flourish in a "man's world," her battle with drug addiction and chronic sickness, and her efforts as a mother and wife. Lovelace also had a reputation as a wild gambler and a lover. What can tell us more truthfully about Ms. Lovelace's life than letters from the Lady herself? Ada Lovelace has a mythic resonance for our digital age: reverent visits to Ada's grave now outnumber pilgrimages to the grave of her father, the poet Byron. Betty Alexandra Toole's revelatory book gives us the sad, evocative and all-too-human story of the woman behind the Ada myth. Ada was one of the first to write programs of instructions for Babbage's Analytical Engines, the famous precursors to the modern digital computer. Beautiful, charming, temperamental, an aristocratic hostess, mathematicians of the time thought her a splendid addition to their number. Babbage warmly appreciated her worth, and the value of te felicitous account she wrote of his Analytical Engines and their potential scope of application. The story of Ada's life and of her relationship with Babbage has been sadly distorted, and Dr Toole, who has in my view an unrivaled knowledge of Ada's life, here gives us the opportunity to set the record straight. By this Dr Toole helps clarify not only Ada's personal life, but also an important early stage of the computer revolution. I warmly welcome the publication of this critical selection of Ada's letters. Daughter of Lord Byron, companion and partner of Charles Babbage, Ada was one of the most picturesque characters in the history of technology. . .Ada's letters are some of the classic founding documents of cybernetics and computer science, written nearly a century before ENIAC. Dr Toole has written a brilliant and insightful book that reveals the depth not only of Lovelace's genius but also her personal passions. It is an essential and inspiring book, one that crosses the boundaries of time and gender. How can we use the story of Ada's life, both fantasy and facts, as a pathway to the 21st century? All site contents copyright © 1998, 2004,2010 B. Alexandra Toole. Please attribute any quotations.